This month I did our bi-annual measurement of the baobab guardians’ trees. Two of the trees have already reached the 2 metre mark and being as short as I am, I had to stand on two bricks to measure them! We now have 18 trees with baobab guardians being sponsored by two companies: Bonga Foods and Sevenhills Wholefoods as well as some individuals. 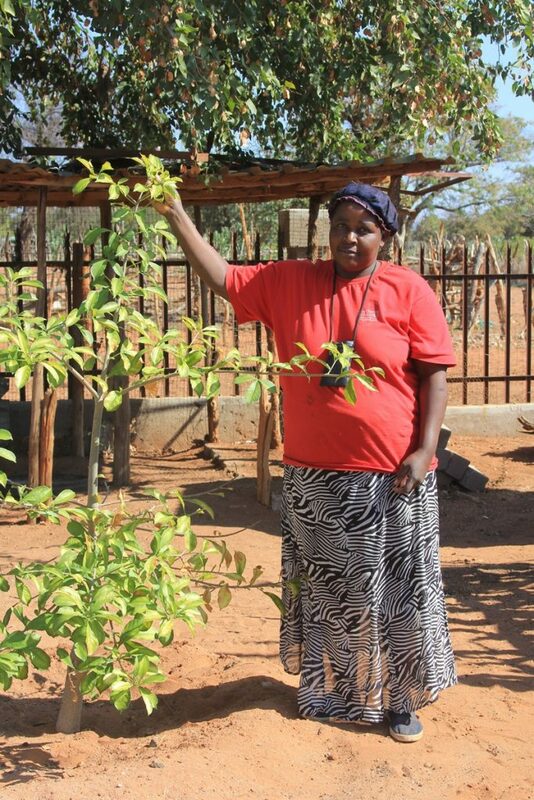 The fastest grower in the last 6 months (since November 2015) was Miriam Mulaudzi’s tree which grew over 1 metre (101cm) and is sponsored by Sevenhills Wholefoods. The tallest tree is Selina Manovhele’s tree and has a height of 210cm already. It was germinated in November 2014 and is also sponsored by Sevenhills Wholefoods. You’ll see that the late rains have meant that most of the trees have not yet lost their leaves for winter. I’m so proud of the baobab guardians; they have to fend off goats who love eating baobab seedlings… and have to build the most ingenious structures around their trees to protect them – everything from bricks, thorny branches to pallisades made of sticks! Baobab guardian Rebecca Nenzhelele, sponsored by Afka & Liesbeth, was initially shy about being photographed next to her healthy looking sapling! Our next measurement is in November 2016. Exciting news is that I have received sponsorship for another 7 trees which we will plant in November when the rains begin. We’re half-way to achieving the vision of planting 50 strong new healthy baobab trees by 2017! It costs just R1900 to sponsor one baobab tree over a 3 year period as it grows from seedling to a 3 metre sapling when it can survive on its own in the wild. The donor will receive 2 progress photos a year and measurements. For more information, or to make a donation, please contact me, Sarah Venter here. Thank you so much to our wonderful donors! Your contribution is helping to shape the African landscape for the future! What is the baobab guardian’s programme? 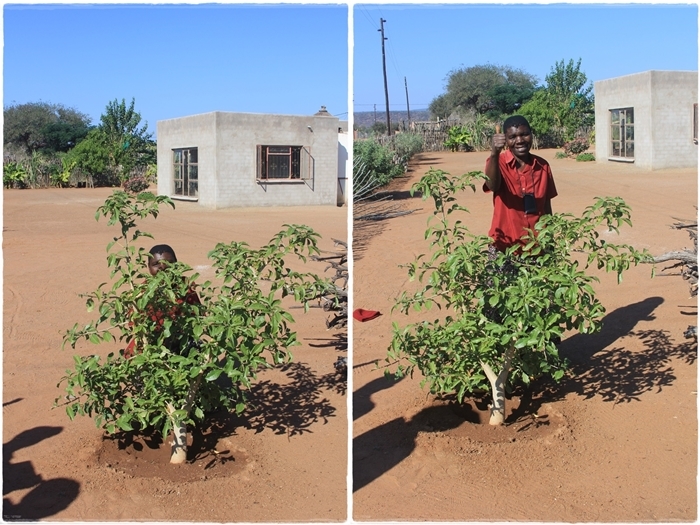 From Seedling to Sapling: why sponsor a baobab guardian?